In the pages linked to here you can find a selection of research reports, articles about teaching and unpublished resources. Scroll over ‘writing’ to find these. 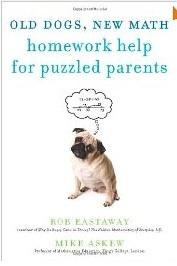 The American edition of 'Maths for Mums and Dads' has now been published.